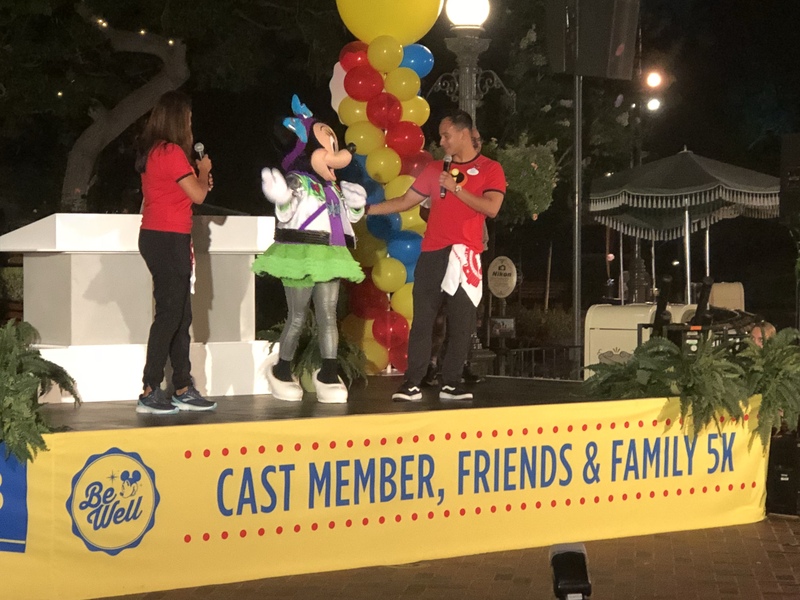 Cast Appreciation Week at the Disneyland Resort was celebrated mid-July with daily events leading up to Disneyland’s birthday, which is July 17. 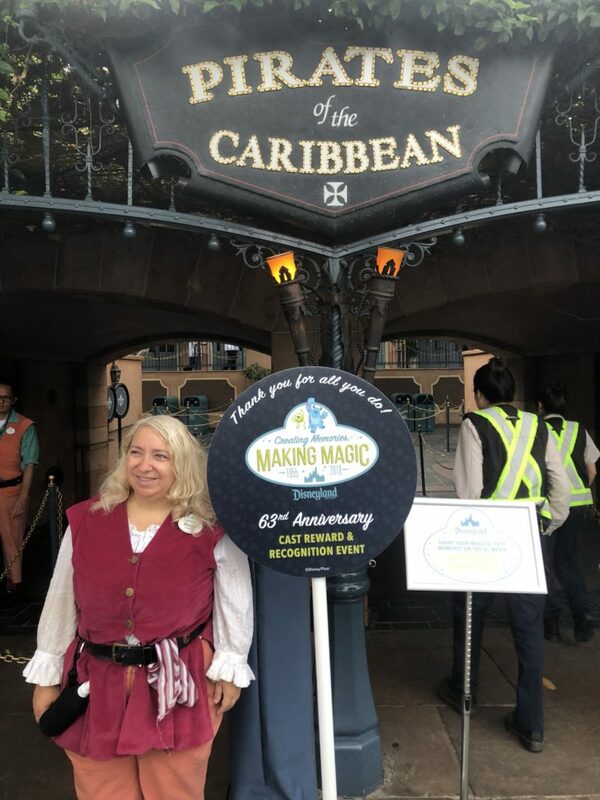 Disney invited me to be a part of the celebration and to share all about this fun time in the parks. 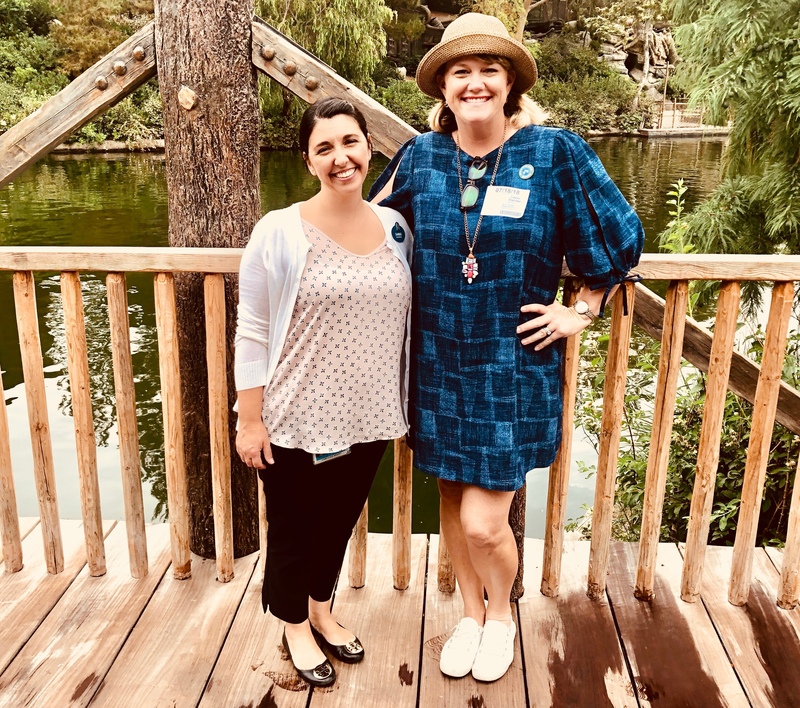 It was an honor! 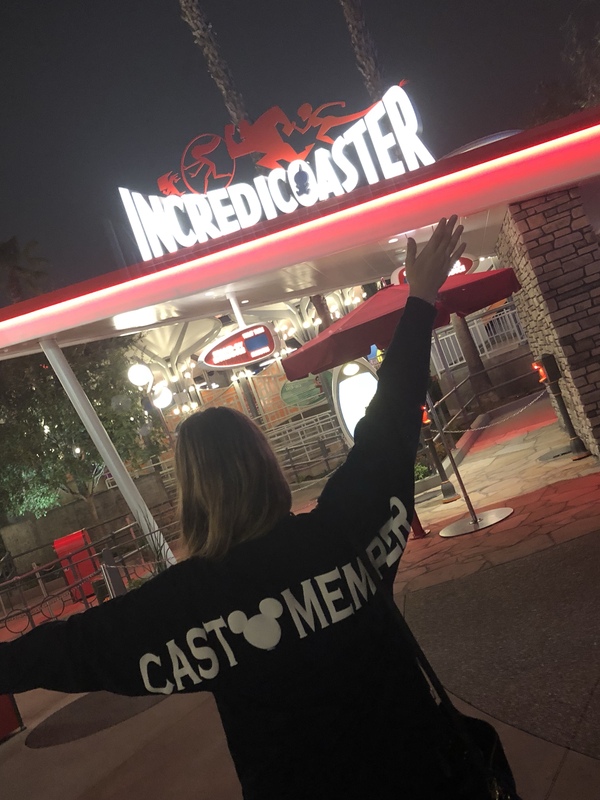 It only takes a few moments to recognize a Cast Member. I encourage you to do so during or after your time at the park. Visit this link for how to show your gratitude. 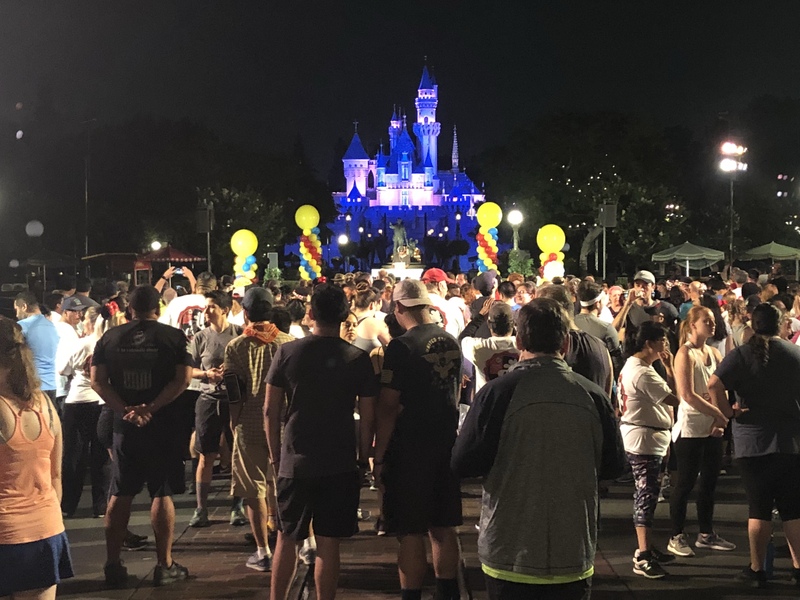 Let’s review all of the events that make up this special time for the Disneyland Resort. 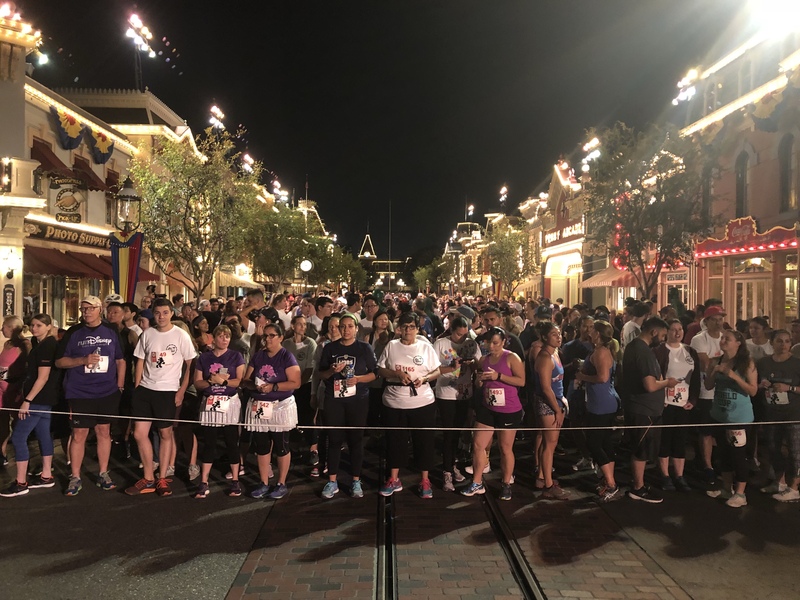 The week began with a 5k run through both Disneyland and California Adventure. 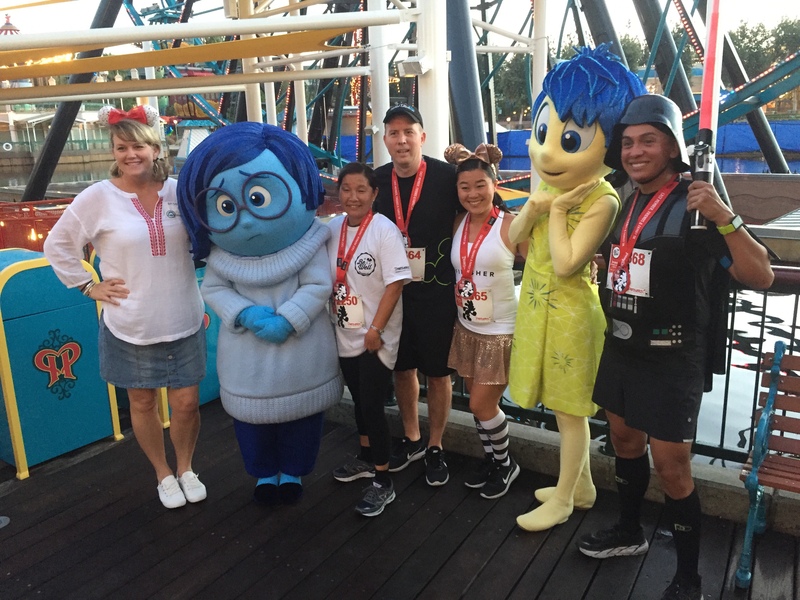 Cast Members, family and friends woke bright and early to enjoy this exclusive experience. It was such a pleasure to watch all of these amazing people being recognized for their hard work. Scroll through the images to see how this run played out. 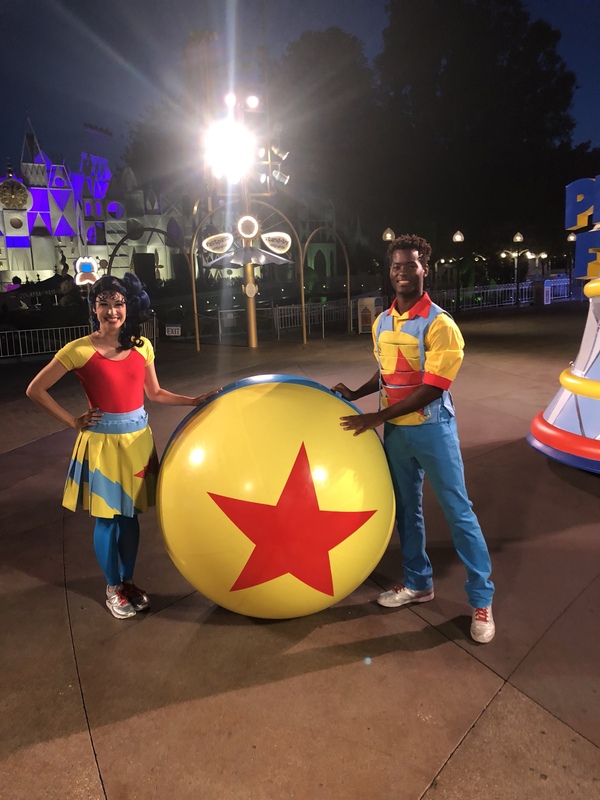 Disneyland Ambassadors, Alexa Garcia and Mikey Trujillo, helped get things started. 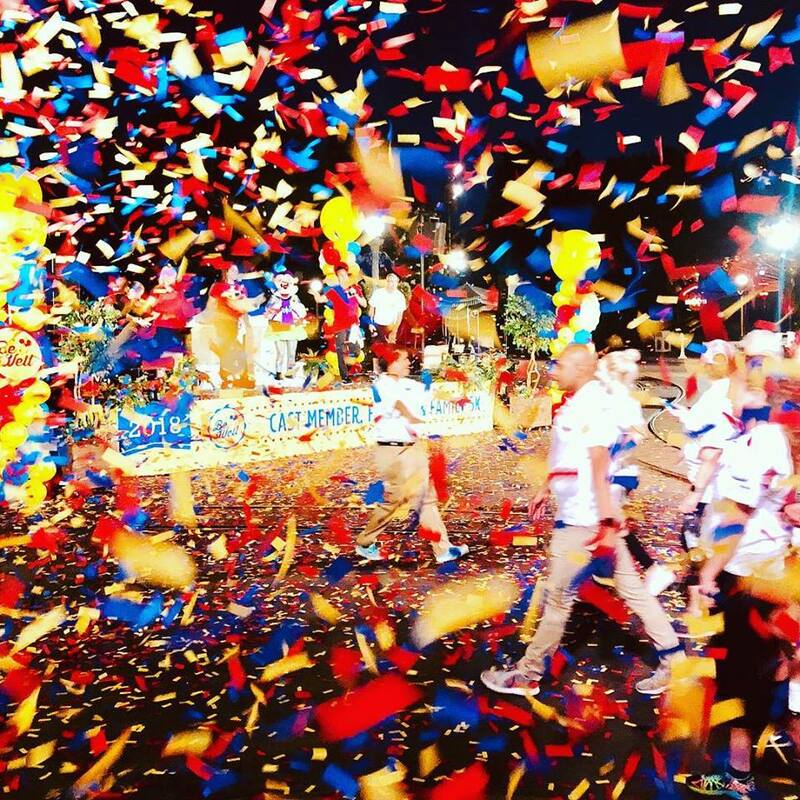 Confetti exploded into the air with each start. There were characters along the way. 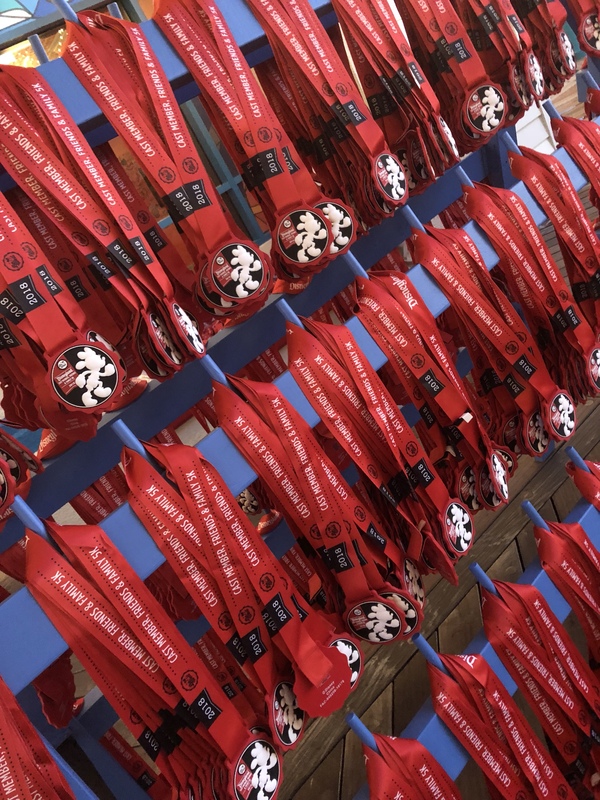 Each runner received a medal for participating. Tim organizes the run. 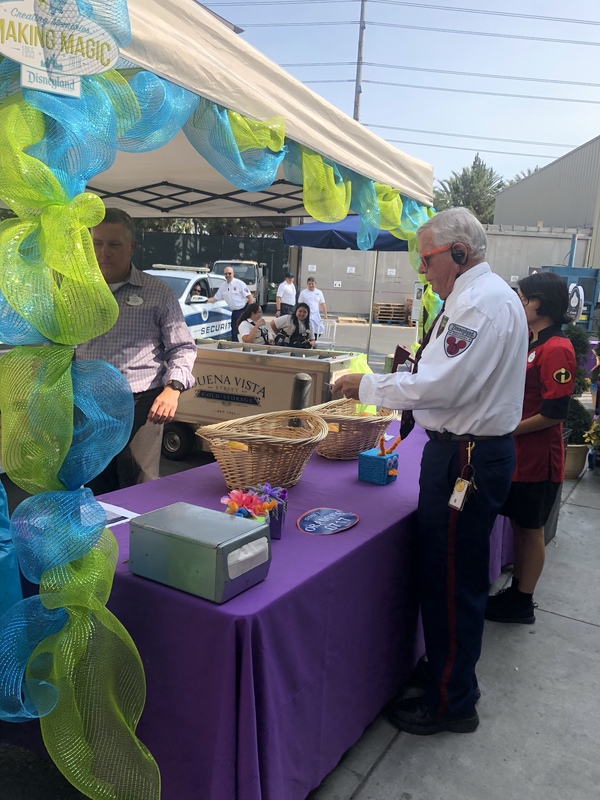 So much hard work goes into an event like this! 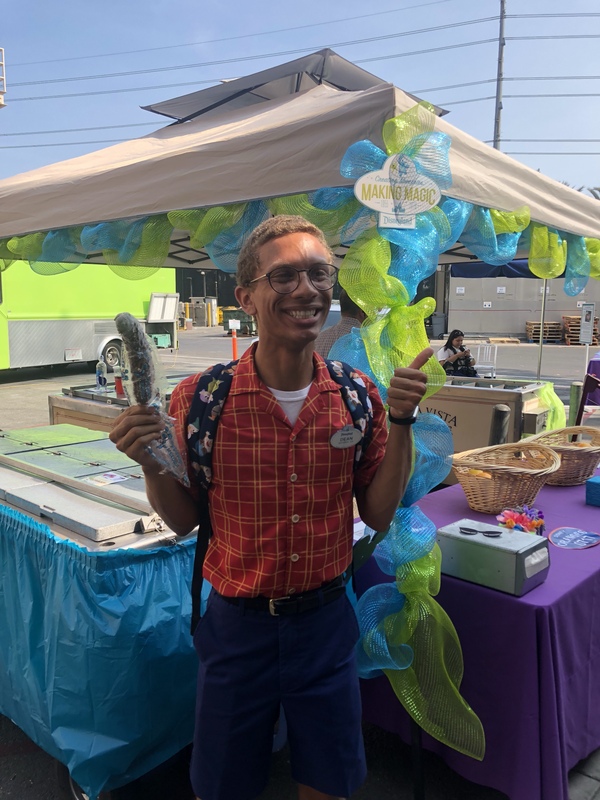 National Ice Cream Day, July 15, 2018, was made even sweeter when Cast Members were treated to free Mickey Ice Cream Bars, Ice Cream Sandwiches, and Fruit Bars. 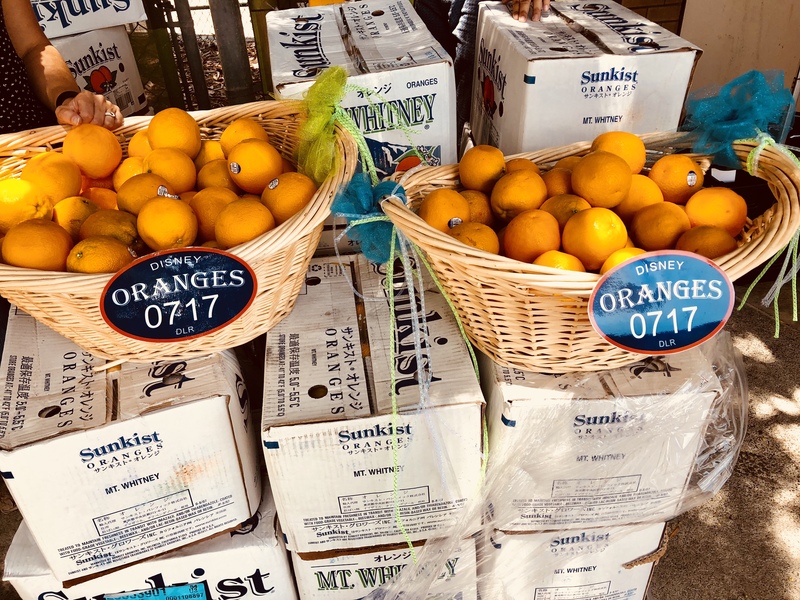 California Oranges were available, too. 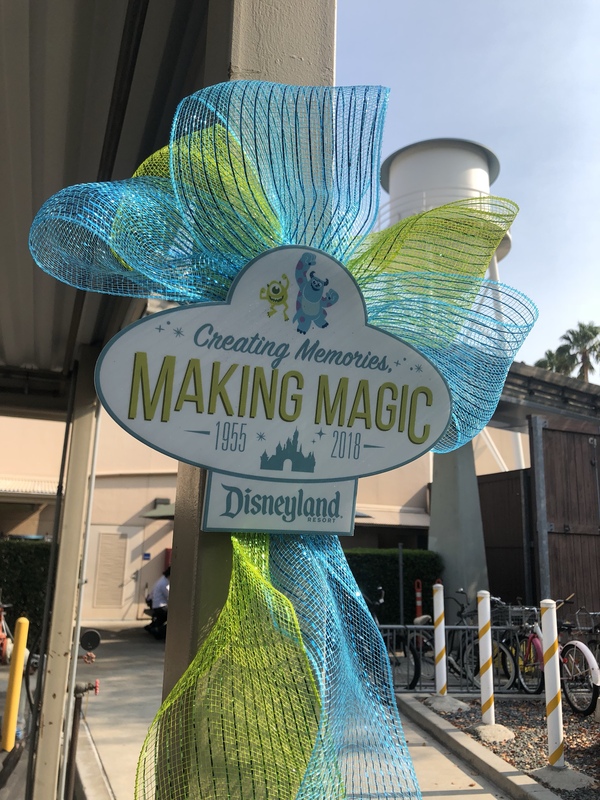 While touring the distribution points (6 in all, between the two parks), I had several chances to hear how people started with Disney so long ago. 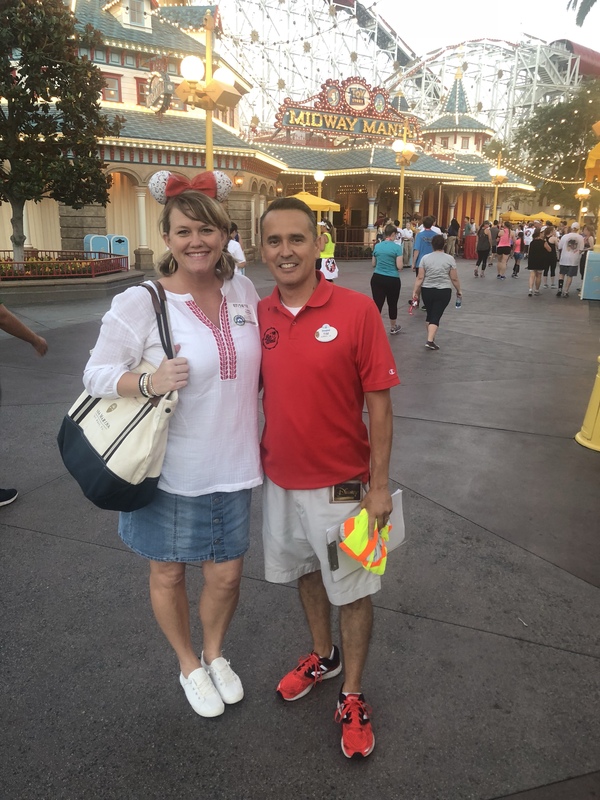 Many shared how they happened upon a summer job working attractions only to find themselves here, 20+ years later, in a leadership role. Everything about that makes me smile. Look at this foolish mortal grabbing an ice cream bar. 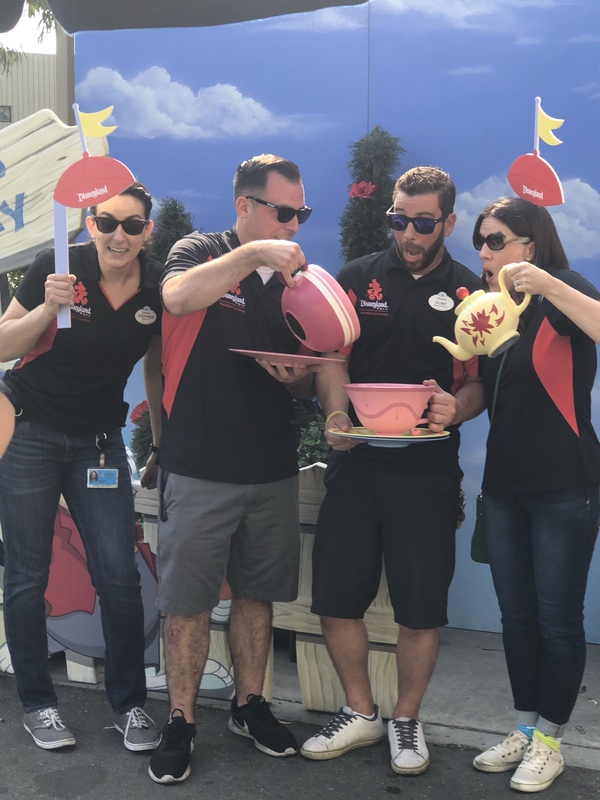 This fun photo op moved around the resort during the week to ensure everyone had a chance at grabbing a complimentary image from PhotoPass photographers. 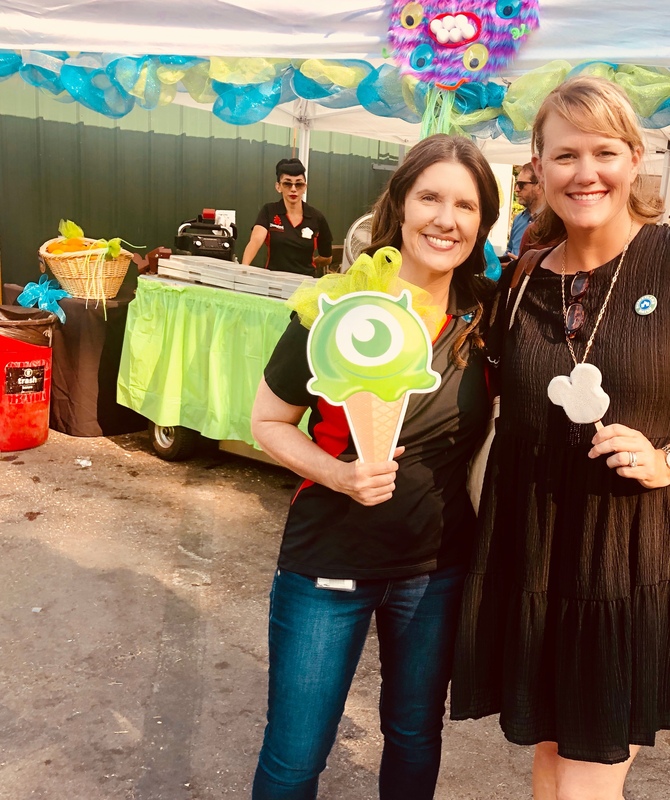 Kim organized the Ice Cream event and did a wonderful job. Each location serving treats was decorated so cutely. 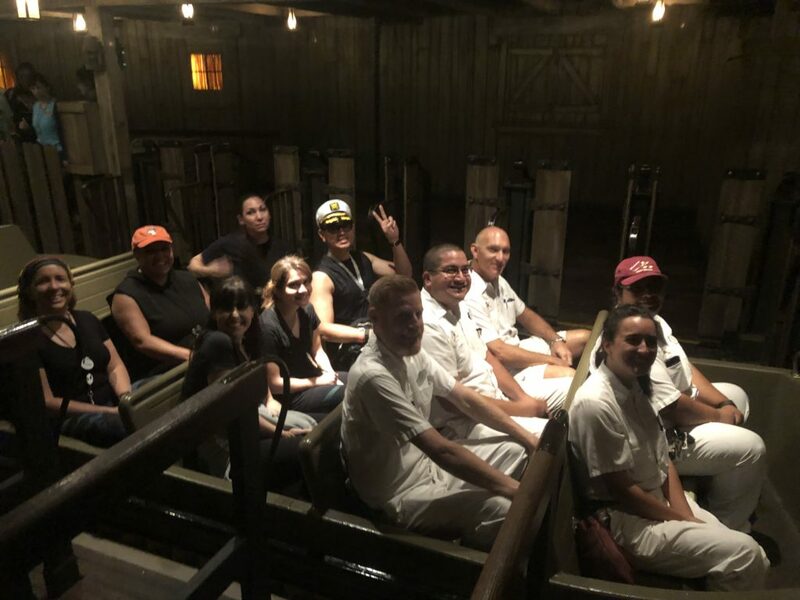 Happy Cast Members make me happy. 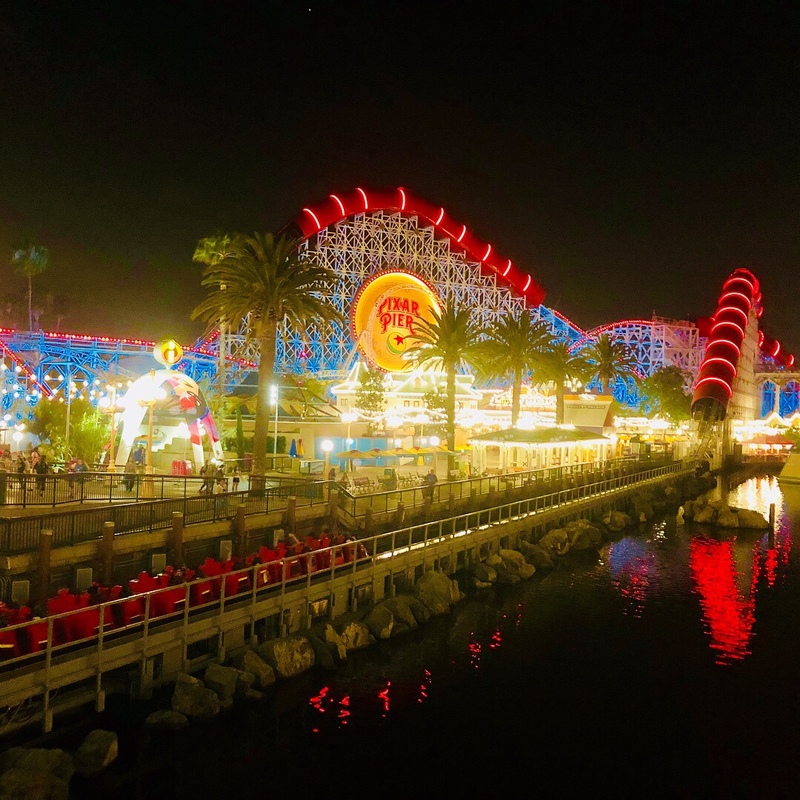 After California Adventure closed on July 16, 2018, Cast Members were invited to ride the Incredicoaster with very little wait – and as often as they wanted! 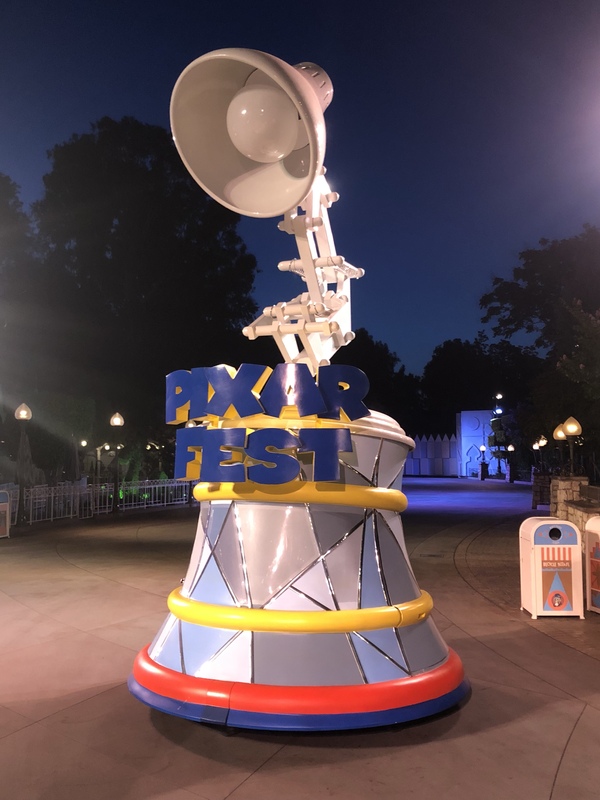 Being in the park after close feels special. 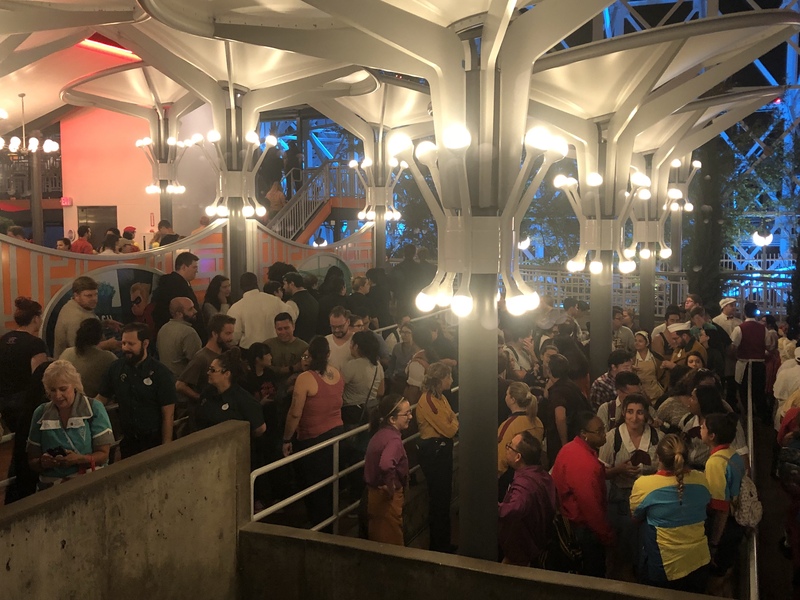 Having full access to a super popular attraction makes it even better. 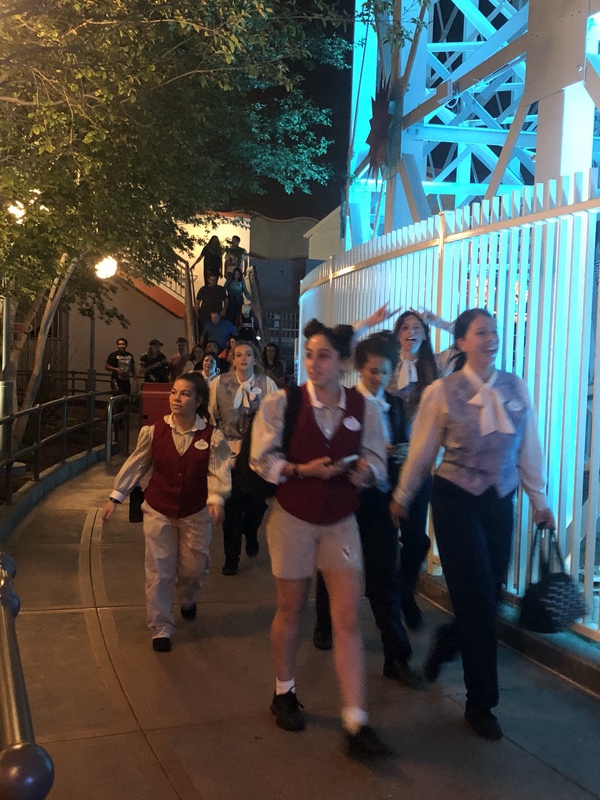 I loved seeing so many smiling faces as they jumped in line in their Cast Member costumes. 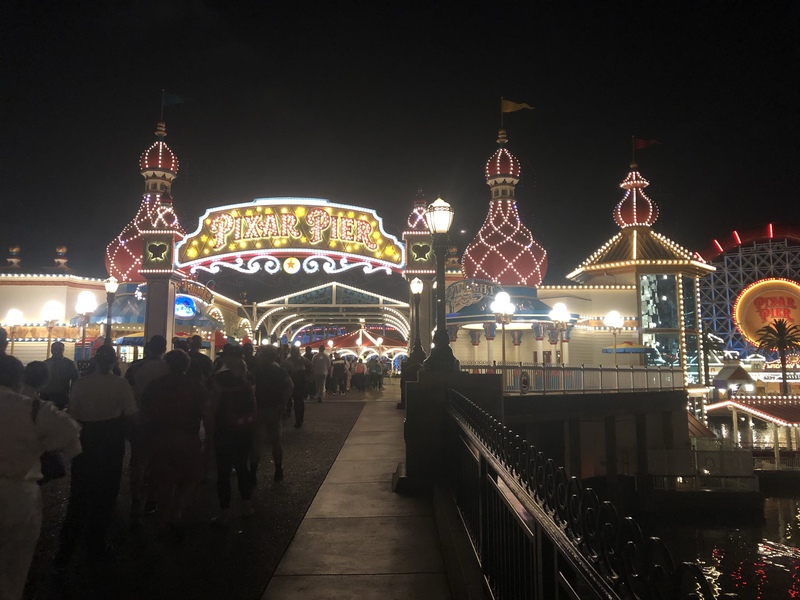 WelcomEARS is a Disneyland tradition that I have loved seeing from a guest’s perspective over the years. 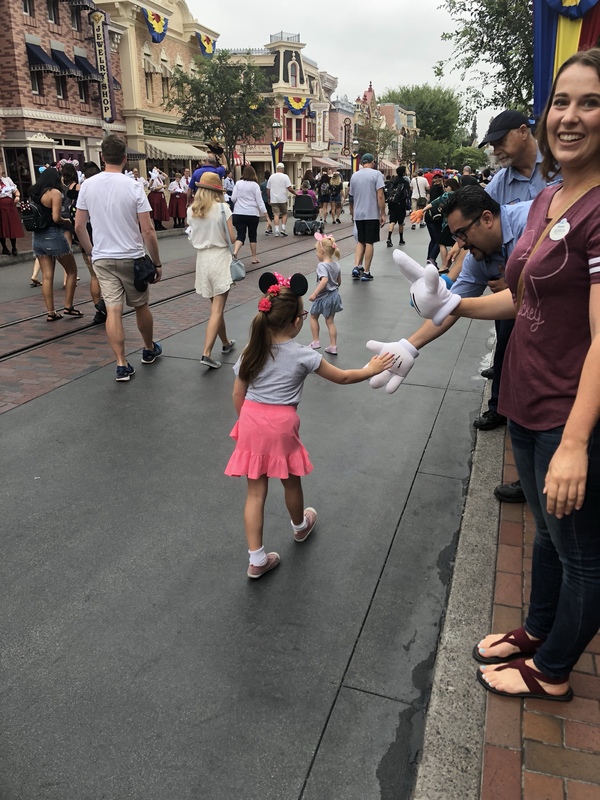 On July 17, 2018 (Disneyland’s birthday), Cast Members donned the coveted white gloves and stood along Main Street welcoming guests as they entered the park at opening. 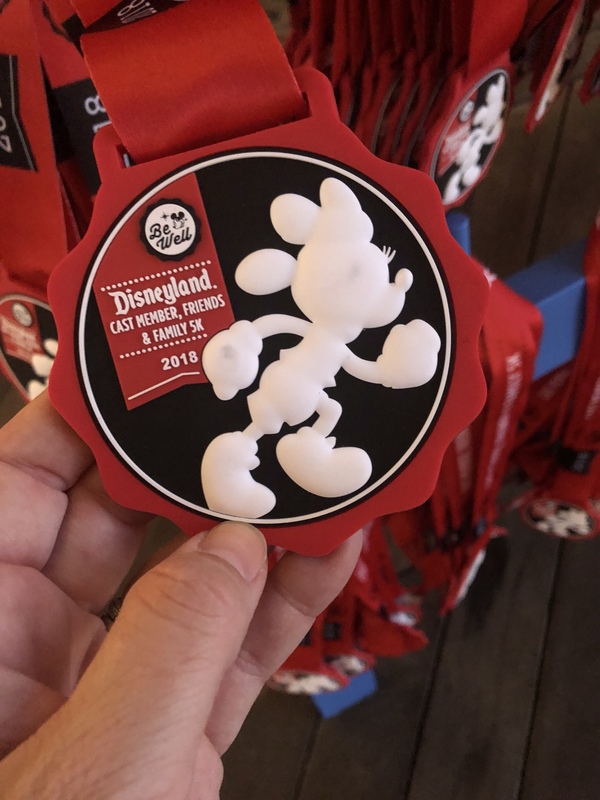 One guest wore a button showing her photo from when she was a Cast Member the day Disneyland opened, July 17, 1955. 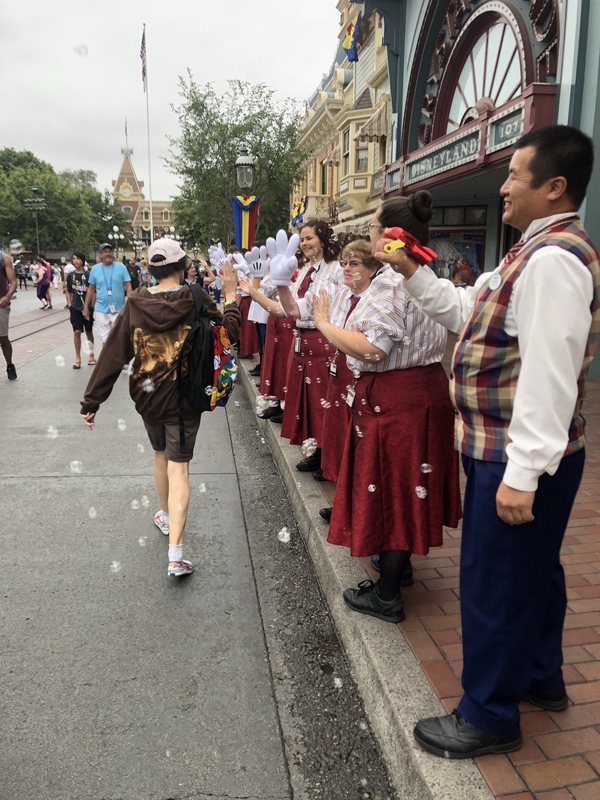 Seeing her welcomed by current Cast Members on Disneyland’s 63rd birthday was an absolute privilege that I won’t soon forget. 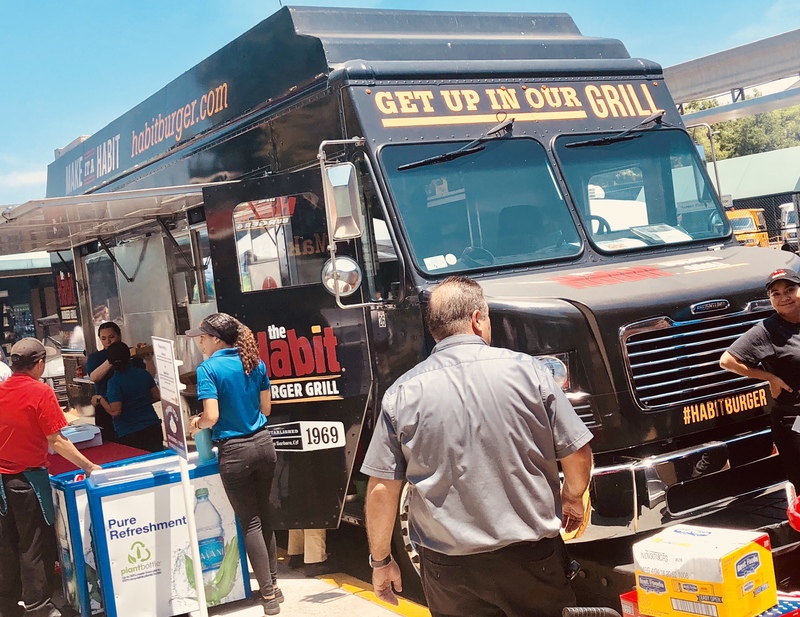 Later that day, The Habit Burger Grill catered lunch to approximately 22,000 Cast Members. 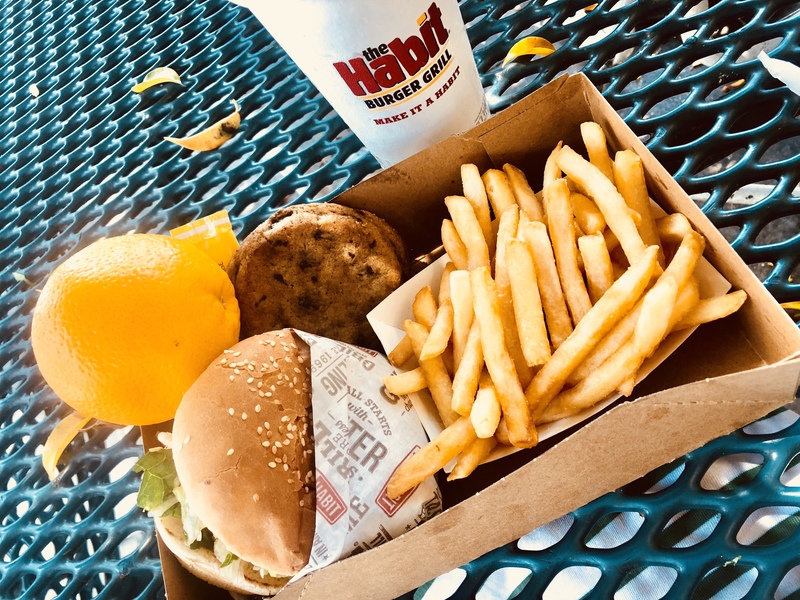 The Habit worked with Disney to honor everyone with one of two options for an entree, French fries, fruit, cookies, and cold drinks. 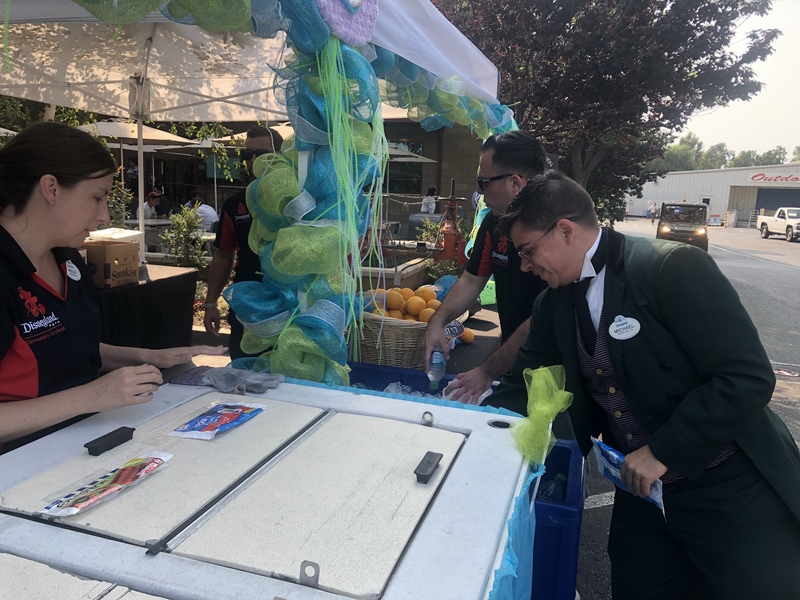 Trucks were set up all over Disneyland Resort so that Cast Members could easily grab a meal during their break or before/after work. 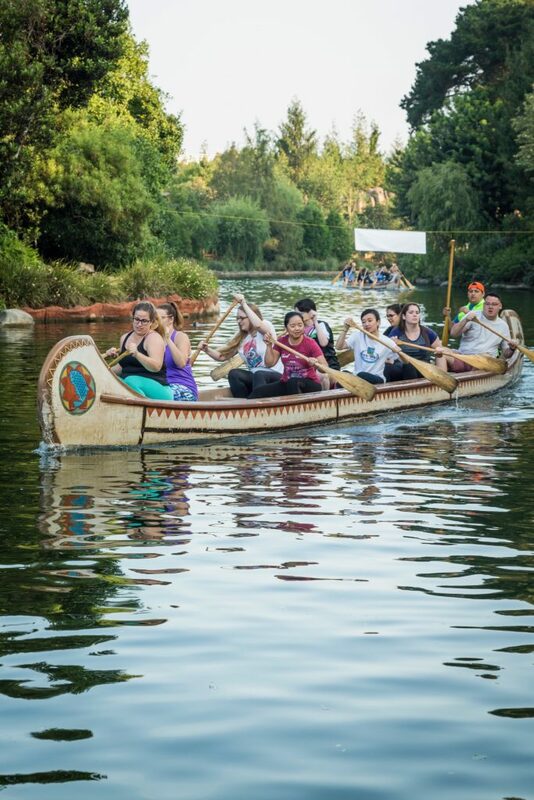 This final day began early with the traditional Canoe Races that started many years ago – in 1963. This is perhaps the most loved event and I can see why. 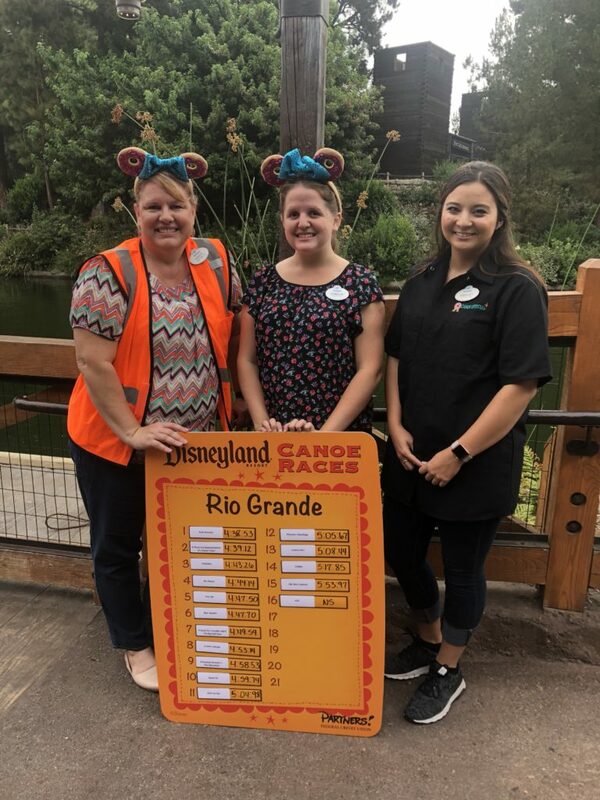 This friendly competition allows Cast Members to form teams and race around the Rivers of America. 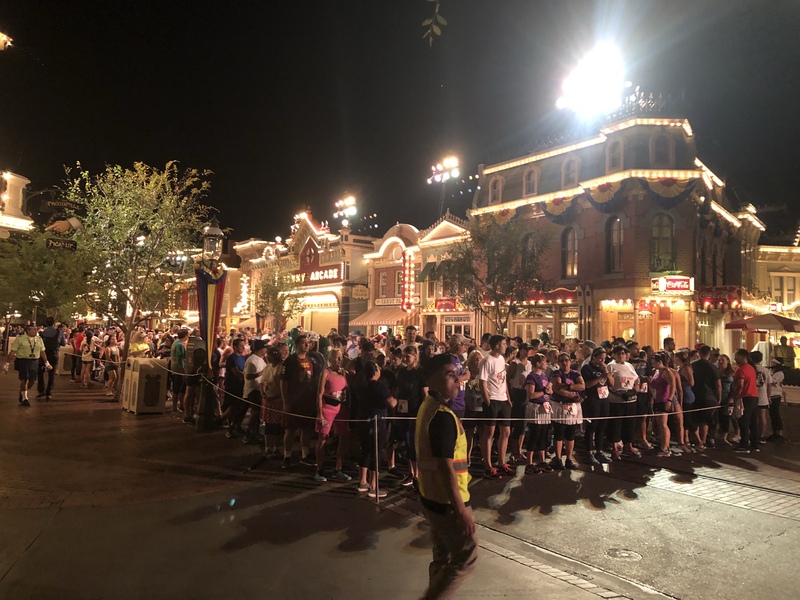 1,200 Cast Members formed 84 teams to compete. The races occur over 8 weeks total, prior to park opening. 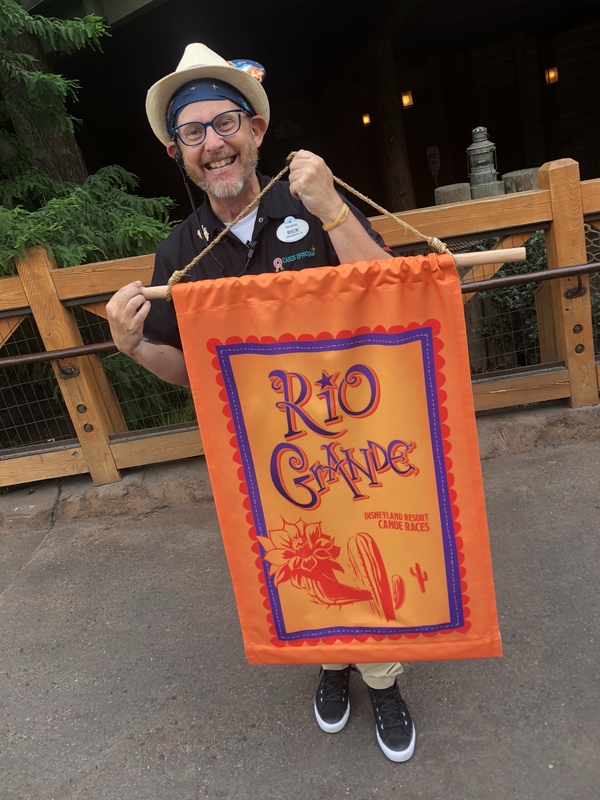 Rick has worked for Disneyland for 37 years and now organizes the races. He’s a treasure! I would LOVE this job. 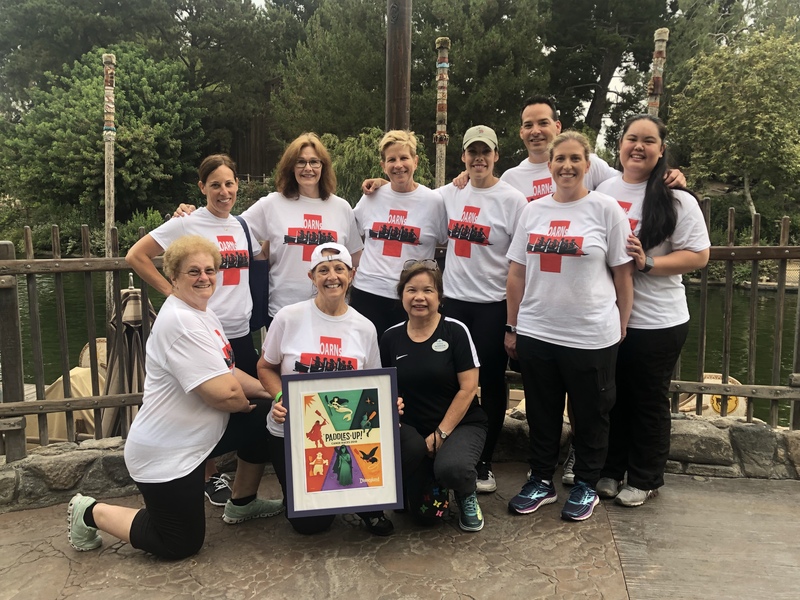 They’re nurses for the Disneyland Resort. I love the clever names the teams come up with. 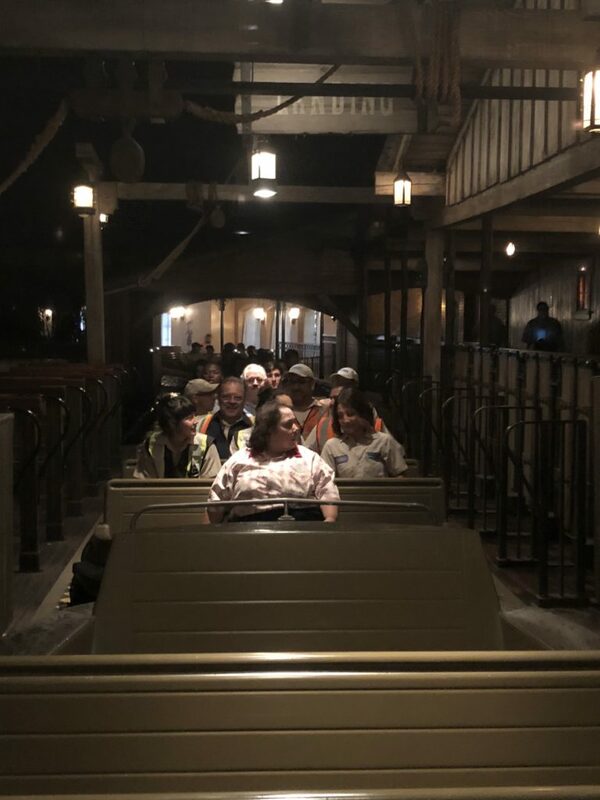 The fun continued with pre-park opening rides on Pirates of the Caribbean. 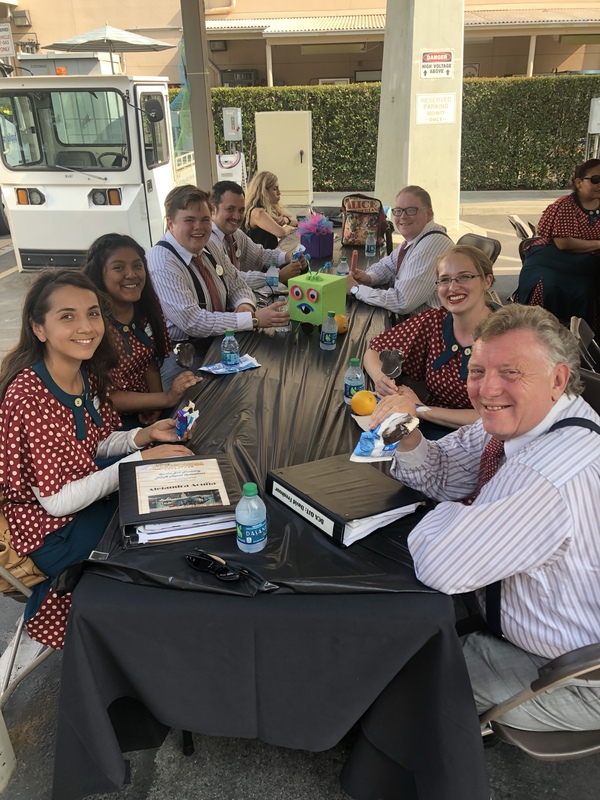 I totally appreciate how Disney allowed Cast Members to enjoy this attraction, recently redesigned, along with the Incredicoaster, which is also very popular after recent changes to it. 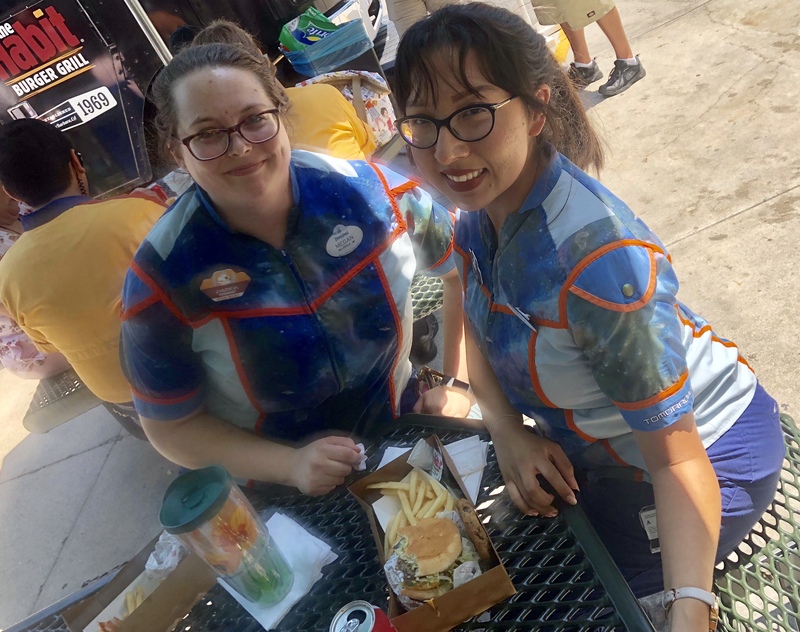 If you’ve read my site for any length of time, you know how much I appreciate Cast Members. 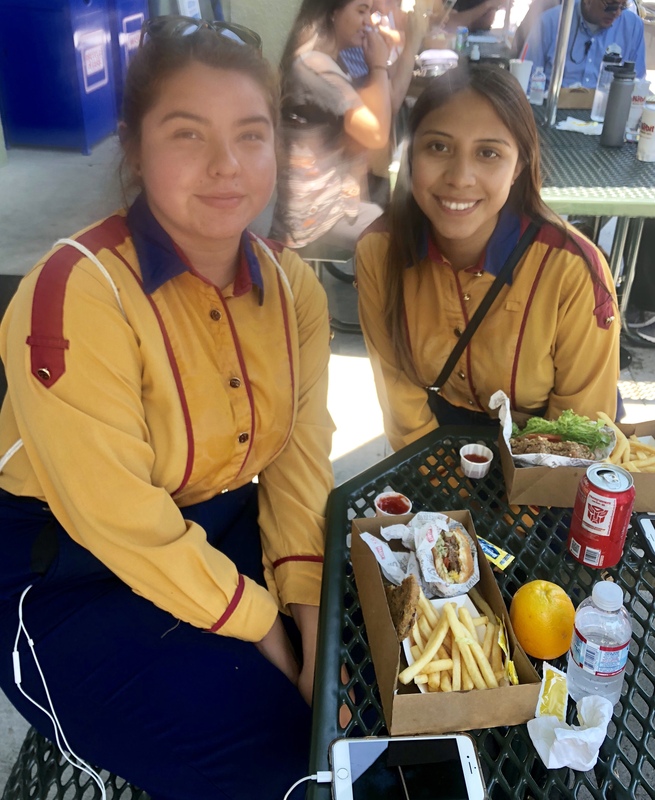 They truly are what sets Disneyland apart. 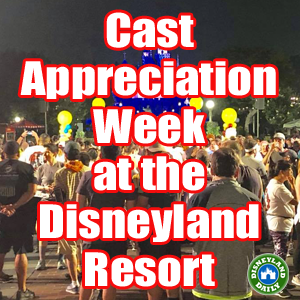 Please consider taking the time to thank a Cast Member during or after your visit. The recognition you provide will follow them for many years to come. 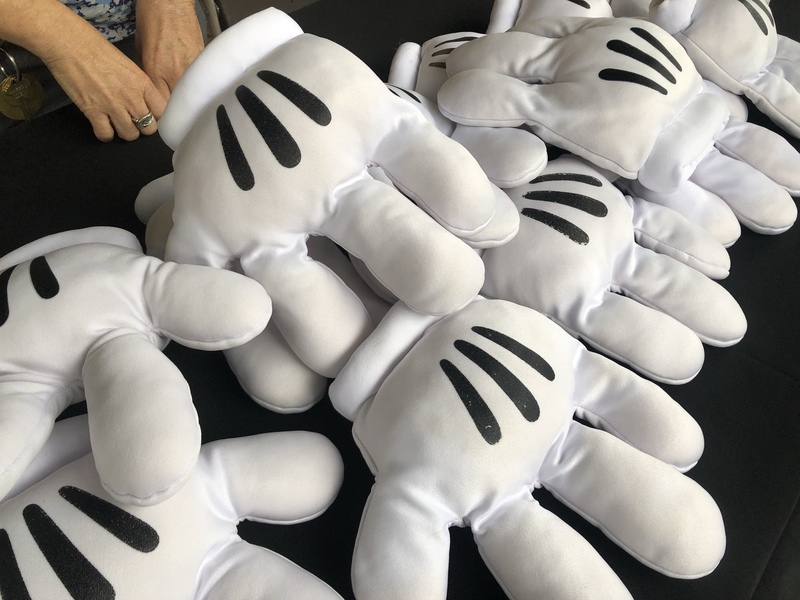 As always, if you have any questions on this week or any part of the Disneyland Resort, leave me a comment letting me know how I can help.